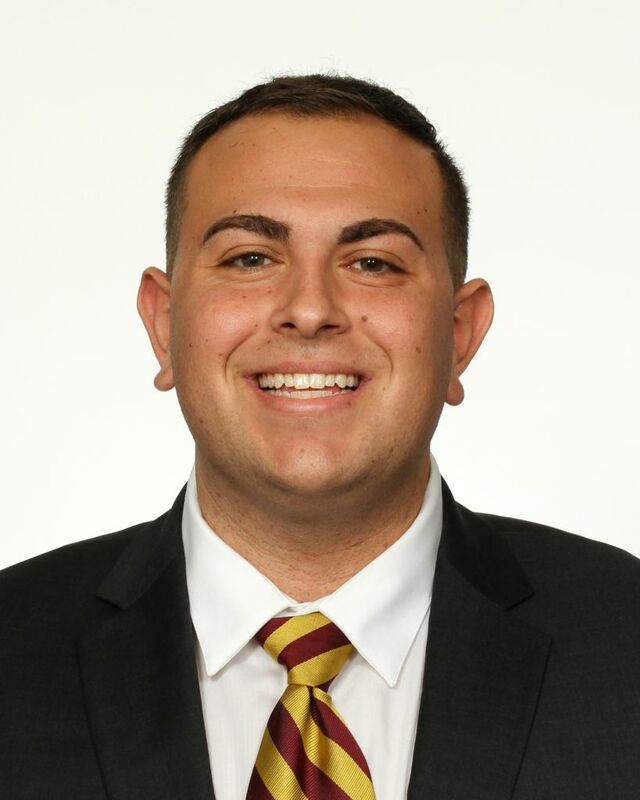 Chase Goldstein is in his first season as Florida State’s Video Coordinator after spending the 2017-18 season as the assistant video coordinator on head coach Leonard Hamilton’s coaching staff. Goldstein was a member of Florida State’s 2018 NCAA Tournament Elite Eight team and has been a member of three NCAA Tournaments teams: 2018 at Florida State as well as 2017 and 2013 at Florida Gulf Coast. During the 2018 NCAA Tournament, the Seminoles defeated Missouri, Xavier and Gonzaga before falling to Michigan in the Elite Eight. The Seminoles were one win from earning the second trip in school history to the Final Four. Florida State’s appearance in the Elite Eight marked the third time in school history – and first time since the 1993 season – it had advanced to the regional final of the NCAA Tournament. Goldstein became of member of the Seminoles’ coaching staff in 2017 after serving as the assistant coordinator of operations at Florida Gulf Coast during the 2016-17 season. During the 2017 season, he helped the Eagles to a milestone season. Florida Gulf Coast posted a 26-8 record, matching the program’s Division-I single-season win record and its first single-digit loss campaign in the Division I era. The Eagles set a Division I program record for regular-season wins with 23, and finished their Atlantic Sun Conference season with a 12-2 record for a program-best .857 winning percentage. Florida Gulf Coast’s 12 conference wins helped the Eagles win their first regular-season Atlantic Sun conference title in program history. The Eagles the qualified for the NCAA Tournament as they won their second consecutive Atlantic Sun tournament championship. The Eagles lost to Florida State in the first round of the NCAA Tournament. During the 2015-16 NBA season, Goldstein was the Charlotte Hornets’ video coordinator intern. In his role he edited opponent clips, generated personnel for opponents’ offensive and defensive sets and compiled video edits for potential playoff match ups. He worked under NBA Hall of Famer Patrick Ewing in player development where he worked directly with Al Jefferson, Kemba Walker, Michael Kidd-Gilchrist and Nic Batum. Goldstein graduated from Florida Gulf Coast with a degree in history in December of 2016. He was a manager for the program in 2012-13 and was elevated to the head manager position (2013-15) where he oversaw 10 student managers. As the Eagles’ head manager, he assisted with player development and drill work.